I have a browser window open on my computer that is full of tabs for things that I wanted to post about, but haven’t yet done so. 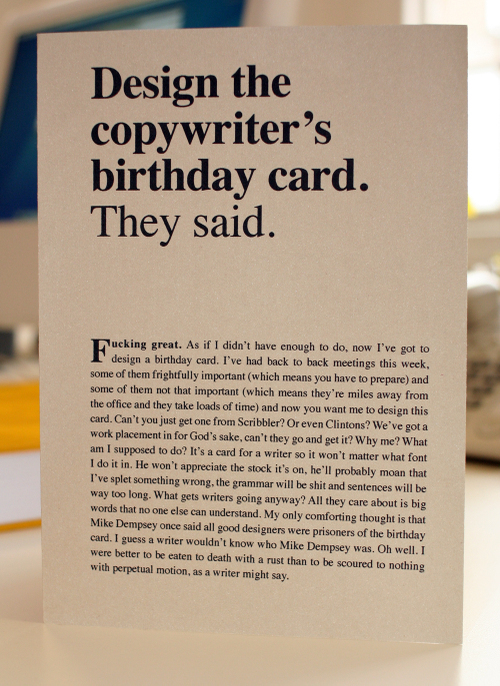 Design the copywriter’s birthday card. They said. « What is Interference Robustness?